PERTH, Australia — For the first three rounds of the 2017 Aussie Open, it was Paige Pierce against the rest of the field. In the final round, it was Paige Pierce versus Paige Pierce. 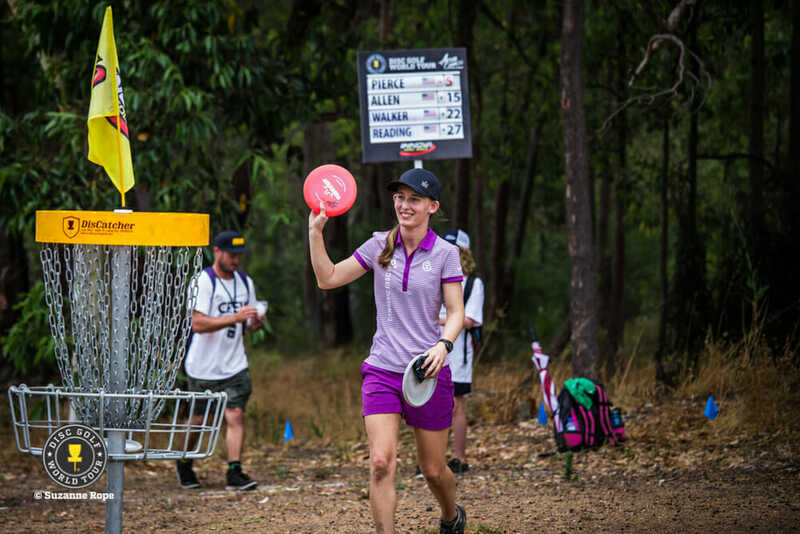 And though she struggled a bit on the tournament’s last day, her final round 4-over par 69 not only secured the Aussie Open win, but also contributed to a 6-under par 254 total that clinched her a spot in the United States Disc Golf Championship. Jennifer Allen held on to her second place standing with a 5-over par finish to bring her to a 14-over par 274 total, while Madison Walker’s 22-over par 282 found her in third. Des Reading chased Walker, but couldn’t quite keep pace en route to a final round 7-over par and a 28-over par 288 total to finish in fourth place, while Kristina Bair’s 57-over par 317 left her in fifth place. Pierce’s day didn’t get off on the right foot. Good form has this habit of making us think it will never leave, so when we find that note in our disc golf bag that says “It’s not you, it’s me,” there’s always some shock. The break-up started with a double-OB, triple bogey 7 on hole one, followed by another bogey on hole 2, then a couple of missed birdie putts. The loss of control had the three-time world champion standing off in the bush on her own between holes, staring into space and trying to get her emotions back in check. Everybody following the women’s top card was thinking the same thing, that her shaky start was due to the added pressure of being close to qualifying for the USDGC, which she would achieve by having one of the 12 best scores in the entire field. Pierce didn’t subscribe to that theory, though. The spectators were acutely aware that all Pierce really needed to do was stay in the scoring range she’d set herself for the week — between 60 and 65 — and she’d be almost assured of the coveted spot. So with every missed birdie putt, as she fought hard to rein in the bogeys, there was a collective groan of frustration. Then, when she did finally make birdie on hole 8, it was followed by another slide into OB and a bogey. Then another birdie on 10, then another bogey. Back to back bogeys on 14 and 15, both from going OB, had a few thinking the dream was over. But Pierce finished the round with two birdies to keep her slim hopes alive. It wasn’t until late in the men’s rounds that afternoon, though, when she knew that Masters division winner Das Loomis wasn’t going to beat her score, that Pierce felt confident she’d made it. She tallied the 11th best score in the tournament. It was only then that the significance of the achievement hit home. Accomplishing the feat in the first Disc Golf World Tour event that featured a specific division for women, she also recognized that it might mean something bigger. Allen, who continued her strong play to keep Walker out of second place, was pleased to be able to keep her composure despite a few rough holes. “As the tournament went on I got better at letting go,” Allen said. 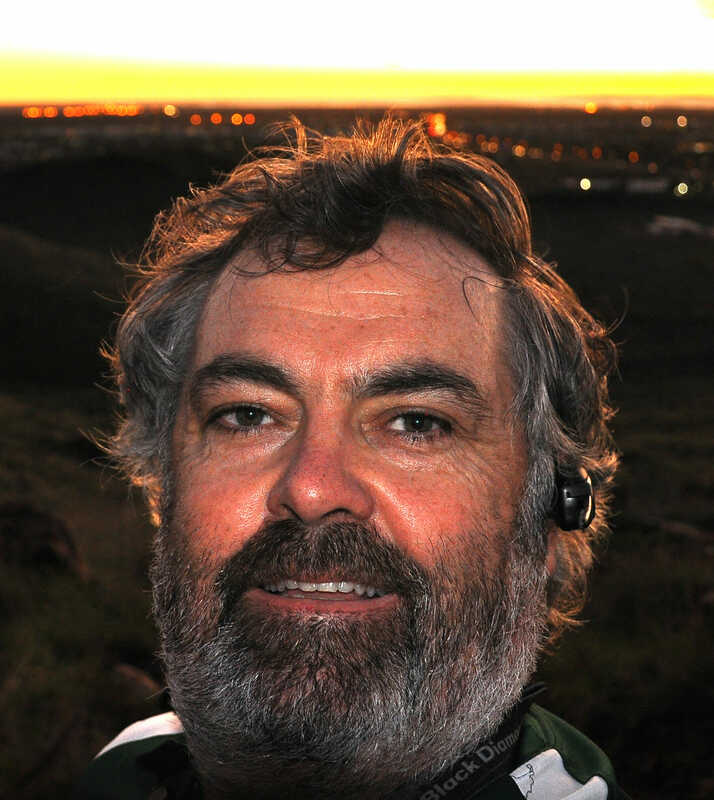 After finding out the hard way what it’s like to “go bush” off the Mundaring DiscGolfPark fairways and having a couple of early tree-hits on her way to a double bogey 6 on hole 10, Allen responded with par on hole 11 and then par on the very difficult hole 12. Walker was disappointed to finish in third after starting the tournament with the goal of getting first or second. Her final day saw her continue the struggles that had started in round three. Walker wasn’t conscious of the battle she was having with Reading, who’d closed the gap with Walker to three throws by the steep, 265-foot hole 13. Reading was aware, though, and set a challenge to her younger rival by canning a 50 foot putt for birdie. Reading echoed the disappointment of the entire women’s top card that the round wasn’t filmed, as had been previously arranged. “They didn’t keep their word,” she said. After playing in groups of three for the first three rounds, the women’s field was rearranged into groups of four, three, and two for the final day, for the purpose of filming. The production crew, though, became unavailable due to technical issues. The biggest improvement on the other cards came from Bair, whose 70 lifted her into fifth place, one throw clear of Germany’s Christine Hellstern. Aussie Champion Cassie Sweetten, Japan’s Naoyo Yoshida, and local Arana Kenyon rounded out the rest of the women’s field. For Pierce, the win was something that she hopes is a sign of things to come. What To Make Of McBeth’s Aussie Open Showing? Comments on "Mission Accomplished: Pierce Wins Aussie Open, Qualifies For USDGC"